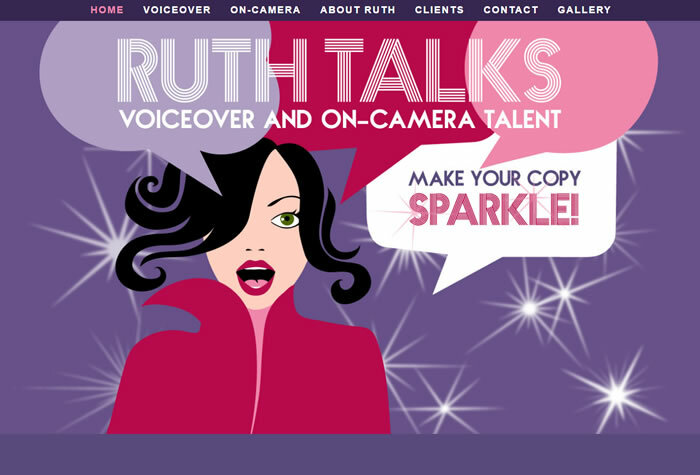 What went well in my freelancing life? What do I have control over that I could improve? How do my revenues and time spent compare to previous years, and where is most of my revenue coming from? What changes occurred with my client base? How can I grow my business next year? 2) Going through my physical and virtual filing cabinets, removing/shredding/recycling documents I no longer need. This morning I painstakingly created a new template for my acting resume, which over the years has become such a mishmosh of styles that it was difficult to edit and update. 3) Reviewing the tools of my trade. To improve my home recording setup, I just bought new, comfy headphones and more soundproofing. Not long ago, I updated my acting and voiceover site, www.ruthtalks.com. New headshots are next. Hello! Thank you for stopping by my blog as you follow A Royal Christmas 12 Author Hop. I hope you’re enjoying your journey. I’ve released four medievals and a medieval novella, and over the years have collected hundreds of books about 15th century England. My favorites (such as Private Life in the Fifteenth Century and the medieval craftsmen series offer fascinating details about castles, knights and and life during that time period, which I love learning about. Something else I love is when sources say, “No one knows what happened,” because I think it’s fun to combine actual history with imagination. Look how far many people go to get tickets to the World Series or Hamilton…. How much they’re willing to pay beyond the norm. I’d call that craving. Because, for the Cubs, it’s probably once in a lifetime? Because Hamilton is a truly great show supported by extensive hype (it seems every day a Facebook friend posts the now-requisite Hamilton selfie)? eat ice cream or candy that I’ve bought. How do I stop at one serving (defined as a half-cup for most ice creams, a mere dollop)? Clear your closets & clear your mind? Lately, I’ve been avoiding making a few life and career decisions. One is whether or not to move. I’m leery of making the wrong choice and/or making a mistake…especially after spending significant time and effort. Yes, I know that no decision is a decision in itself. And that wrong choices/mistakes can often be corrected. In case I do decide to move, I’ve embarked on a project: going through all of my stuff. I don’t consider my place cluttered, but do have hundreds of books and many closets. Being a writer, I love my research books and those on keeper shelf. Then there’s the to-be-read shelf. It hurts to donate any of them, but some must go. Being an actor, I never know what I might need to wear for an audition or a booking, so I have a wide variety of options. Yet surely some things can be added to the pile. My Enemy, My Love releases today in Kathryn LeVeque’s Kindle World! I’m excited to announce that my novella My Enemy, My Love is now available as part of Kathryn LeVeque’s Kindle World, World of de Wolfe Pack! In addition to writing romance novels, I’m an actor. Because I usually don’t get more than 24-hour notice of auditions or sometimes even VO and OC bookings, I don’t always have control over my schedule. AT HIS COMMAND: Double Booksellers’ Best Award winner!? 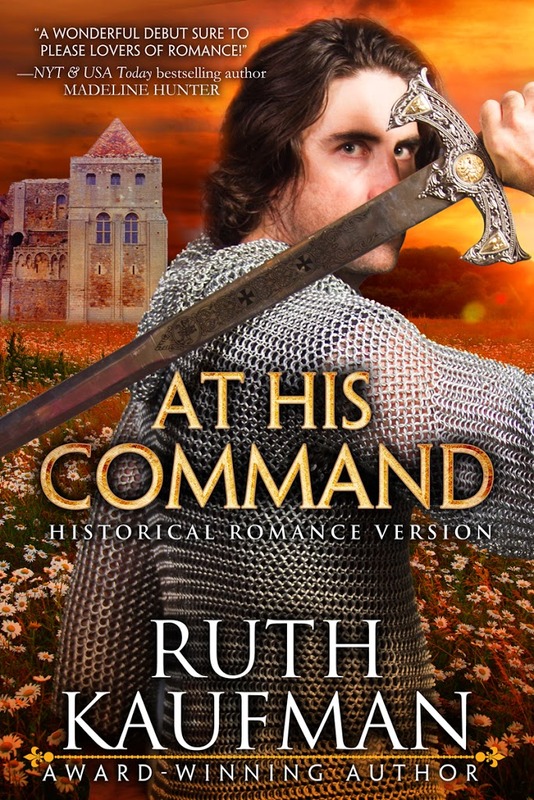 I’m honored to announce that AT HIS COMMAND won BOTH the Best Historical and Best First Book 2016 Booksellers’ Best Awards. 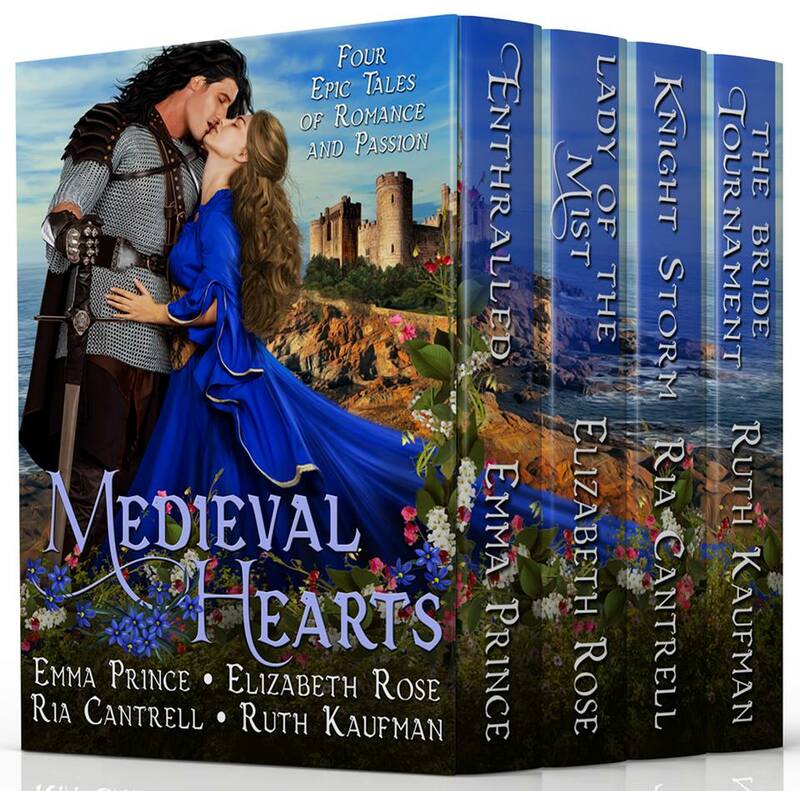 My third book, The Bride Tournament, is now part of the boxed set Medieval Hearts: Four Epic Tales of Romance and Passion. It’s on preorder for .99 on Amazon and will be available in Kindle Unlimited when it releases July 12! In TBT, The Gone with the Wind love triangle meets The Bachelor in late medieval England. The king wants her to marry the new earl, but she wants to marry her betrothed. So she holds a bride tournament to find the earl a better, more willing bride. Who will win his hand in marriage…and his love? When raiding Northumbria’s holy houses to help his village, Eirik meets Laurel, who stirs him like no other. In an attempt to protect her, he breaks his oath never to claim possession of another person, and claims her as his thrall. But can he claim her heart, or will Laurel fall prey to his enemies’ devious schemes? Torn between securing her freedom or giving herself to her Viking master, will fate decide for Laurel—and rip them apart forever? Echo, daughter of the infamous pirate, Captain Powell ap Llyr, tries to live up to his expectations of being the son he never had. But when handsome lord Garret is trapped aboard her ship, she can’t let him die at the hands of her father and the crew. Love and honor clash as a nobleman and a pirate fall in love and face the most difficult challenge of their lives. Respected as a Healer, Rhianna du Montefort turns a deaf ear to hurtful whispers of “witch” and vows not to marry. Sir Erik Ragnorsen is commanded to marry her, but despite his reputation for honor doesn’t wish to marry a witch. Will love be strong enough to weather the storm that threatens to tear them apart? 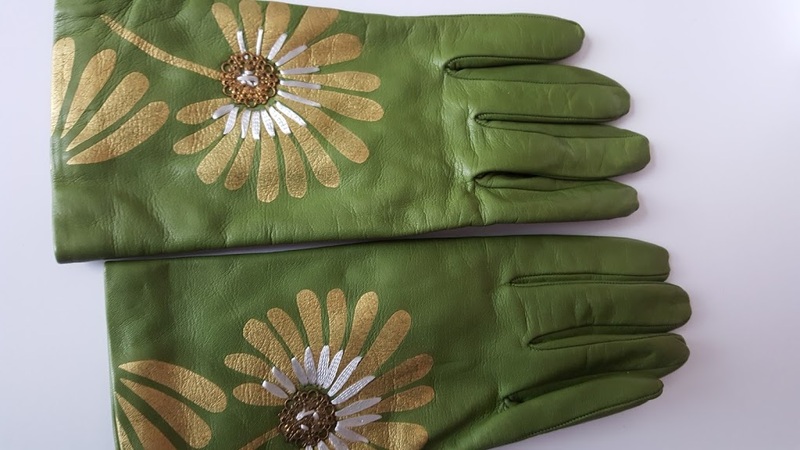 Hope you enjoy the set, and, if you’re so inclined, leave an honest review. 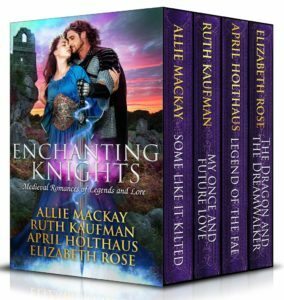 I’m excited to announce that My Once & Future Love, which RT Book Reviews calls a “fantastic blend of romance and Arthurian legend,” will be part of the boxed set Enchanting Knights: Medieval Romances of Legend and Lore with books by Allie Mackay (aka Sue-Ellen Welfonder), April Holthaus and Elizabeth Rose! The set releases 6/20 and is on preorder now! Available on Amazon for just .99 and free in Kindle Unlimited. If the roguish Bran doesn’t change Mindy’s mind about him and his bonnie homeland, neither will find peace. But unexpected passion can be the most powerful…. 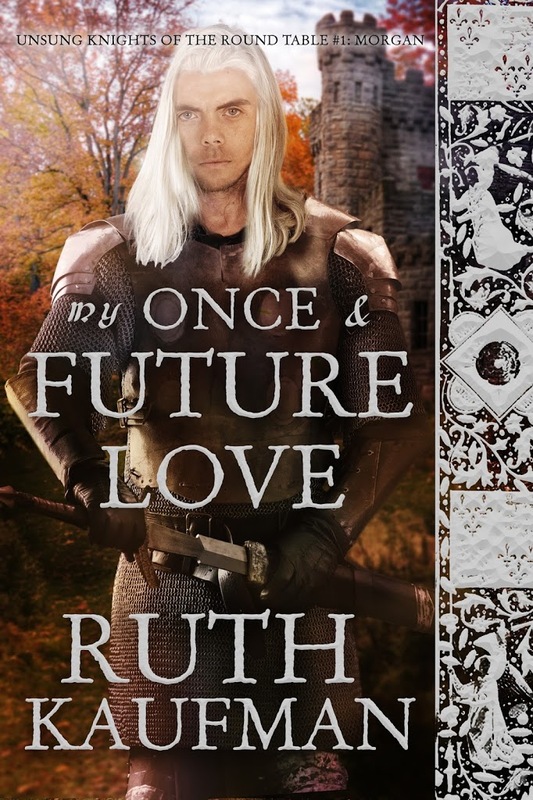 A lady on the run from her scheming uncle aids an imperiled knight. Desire and respect spark as he helps her in return, but secrets, danger and destiny thwart the power of love. Returning home from battle, he stumbles upon a lass who can’t speak. 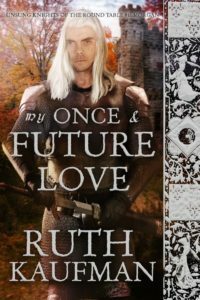 While trying to solve the mystery behind who she is, Galen finds himself falling in love with a lass he knows nothing about. She’s the Lady of Fire villagers call a witch. He’s the infamous Dragon’s Son. 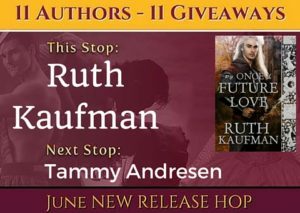 Can they work together to destroy the dragon, or their haunting pasts stop them as they realize they really fear themselves? Welcome! 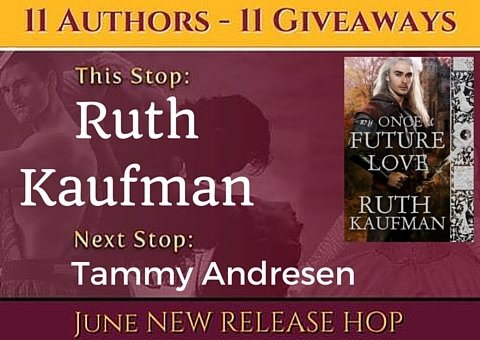 This stop is MY ONCE & FUTURE LOVE (Unsung Knights of the Round Table #1) by Ruth Kaufman, which released May 26th. Morgan ap Myrddin must rescue his father, Merlin, from imprisonment. But enemies have wounded him, draining his powers. Annora of Amberton flees her castle to seek proof that she’s not a lunatic as her uncle declared when claiming wardship over her so she can reclaim her home and lands. Morgan stumbles upon Annora’s cottage and enlists her aid. As he helps her in return, respect and undeniable desire spark. But he won’t succumb to the lure of a mortal woman as his father did. She’s wary of caring for a man who won’t discuss his past. When he finally does, she fears he’s the lunatic. Secrets, danger and destiny thwart the power of love. GET YOUR COPY TODAY!Amazon: http://amzn.com/B01DC8XXNM Also available in KU. 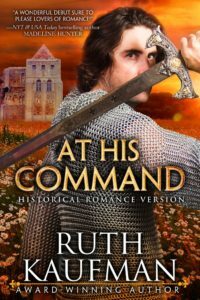 What’s a lady to do when the king commands her to marry a lord, but she’s falling for the knight sent to protect her from undesirable suitors and is a scribe for the king’s rival for the throne? Could she defy her king for love? Q: What’s your favorite historical setting and why? A: Leave your answer in the comments!